Iron oxide in a stream. Close-up of iron oxide (rust) powder coagulating and flocculating in the surface of water in a small rivulet. 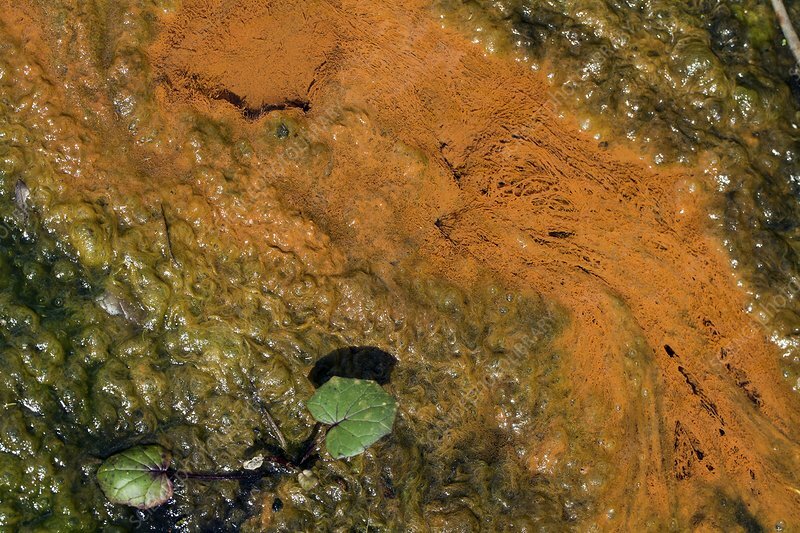 Weeds or algae, serving as a nucleus, may be the main cause for this. Other than that a change in temperature or pH of the water may have enhanced the coagulation.